We have seen a steady increase in room dividing and double side fires in the recent times, this is a direct result of how we live in our homes today, larger open plan kitchen dining/rooms with a sitting rooms adjoined usually with large glass walls to gardens or views to Donegal’s beautiful scenery. But as nice as all this is we still want to wind down and relax in front of the fire after a busy day, this is were the the dilemma begins, maintaining open plan living, glass walls and still have a fire in visible from both rooms. 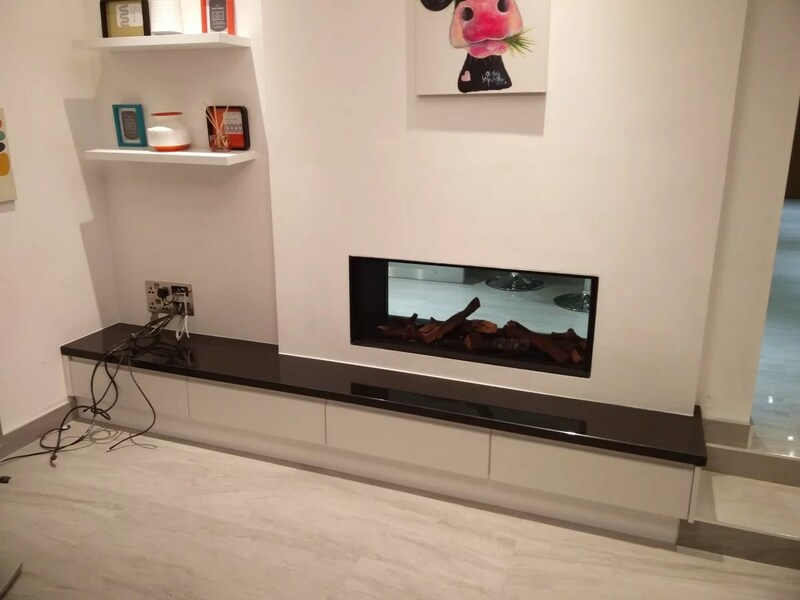 Not to worry there is a solution, Tunnel or double sided fires give you the best of both worlds, one fire two rooms, chimney breasts that only need to be slightly wide than the fire itself and minimal depth thus reducing impact on the room. 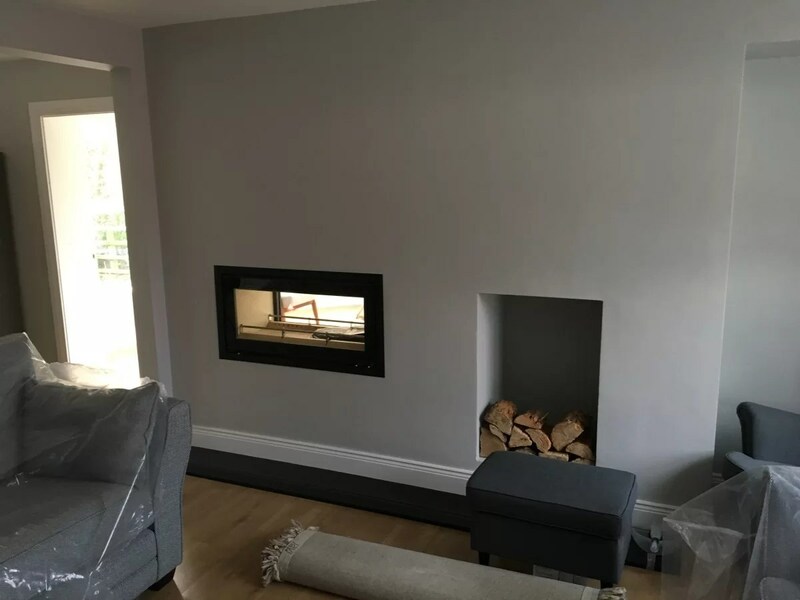 This can be achieved with traditional chimneys build methods, or Stainless Steel Flue systems and fabricated chimney breasts (Preferred option) for Gas a fires balance flues may be viable terminating through the wall (No Chimney required) and then we have Electric which require a power source and water supply (Optional) that’s it. 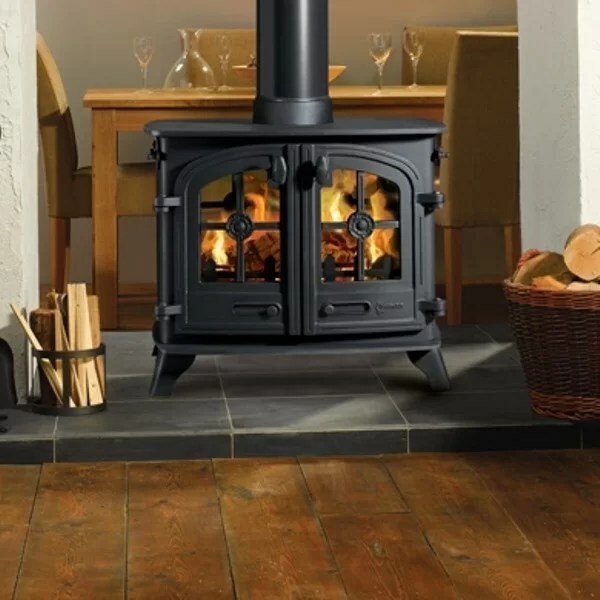 Ever more increasing in popularity to the point were they are close on over taking their wood burn counter parts, Gas offers a real life fire with none of the mess, a fire at the touch of a button. Again the range id vast but we would advise anyone interest in this option to contact us as soon as possible on the design stage as they typically do not fit into standard masonry chimneys. 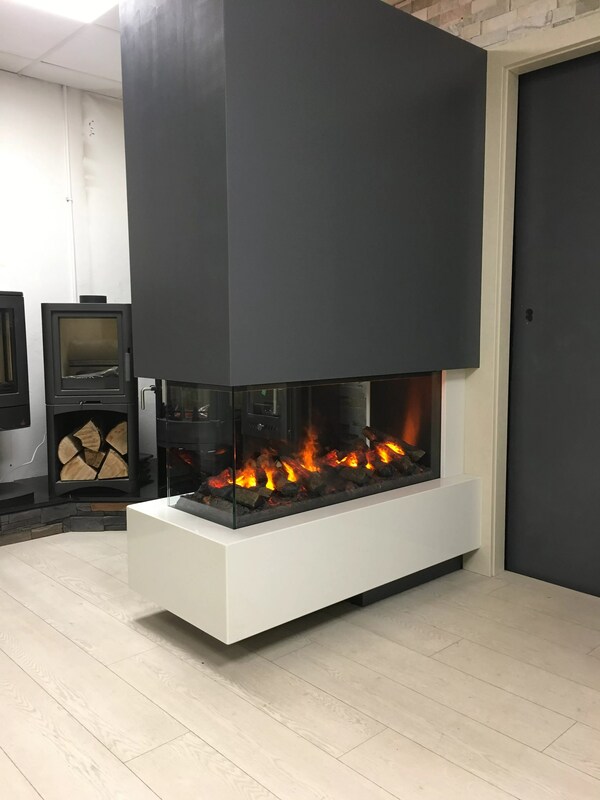 The demand in this market is high but the choices are few, at present we have only one fire to offer the Dimplex Opti Myst Pro range this fire can be anywhere from 500mm long to over 10 meters with the most popular variant being the 1000. This fire come as a base unit only and can be built into almost any application. Dimplex/Faber are in the process of launching a Double side cassette and and 3 sided room divider we expect to see these early January, We can also manufacture a cassette to meets your need complete with toughen glass.